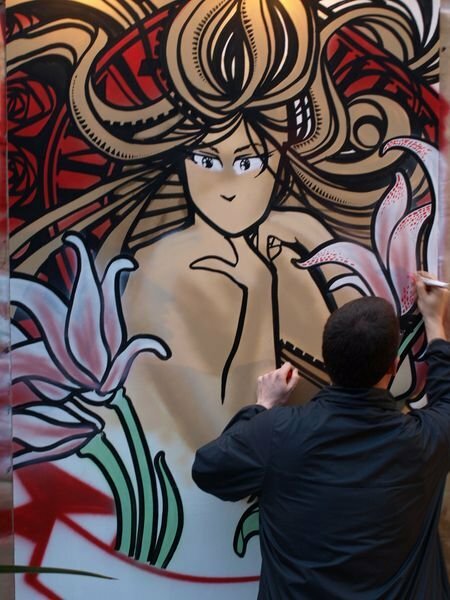 Bristol-born, London-based graffiti artist, Inkie, has opened his first solo show in his home town. The Bank of Stokes Croft has a selection of his illustrative style graffiti canvases on show until Sunday and the show has been extended due to "popular demand" into the new year. 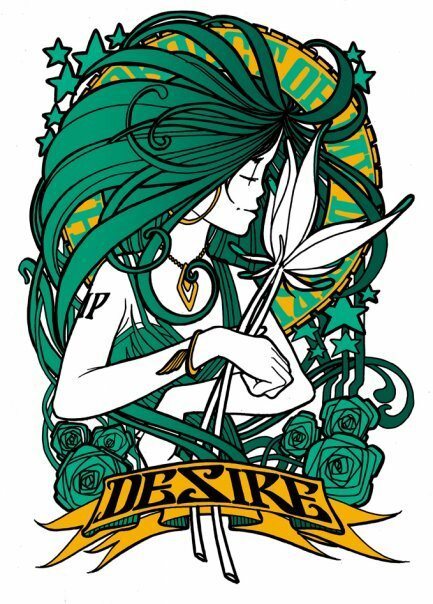 "Due to the outstanding public demand we will be restocking the 25 Years of Ink show with more graffiti based work as well as some classic Ink Nouveau ladies! Please come and join us on Thursday 16th December from 6-9pm for free hot mulled cider and mince pies the new show will run until Sunday the 9th January. "I will also be launching 2 new prints. One based on my recent painting at Arnos Vale cemetery and the other a classic Inkie Wildstyle print..."
"Bristol is a beautiful Georgian city with a very creative outlook/attitude tucked away from the rest of UK and has a lot of good cider, weed and mushrooms. That helped. Check out Bristol's Weapon of Choice. 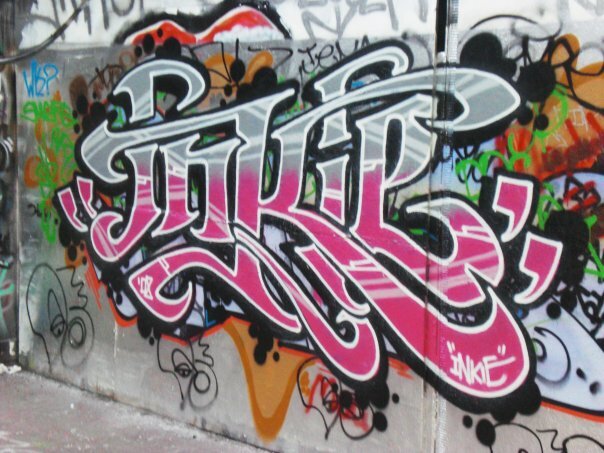 Read an interview with Inkie at SomaSomaScene.